Our expertly designed websites work on all popular devices! We lovingly craft lavish websites that maximize your brand and target your audience with style. Don’t have a brand yet? Don’t worry! Our experts can work with you to create beautiful graphics, logos, slogans, company colors and more. Let us fully customize the look and feel of your brand and solidify your online presence across all your websites and social media. Need something fast and don’t care about fancy custom stuff? 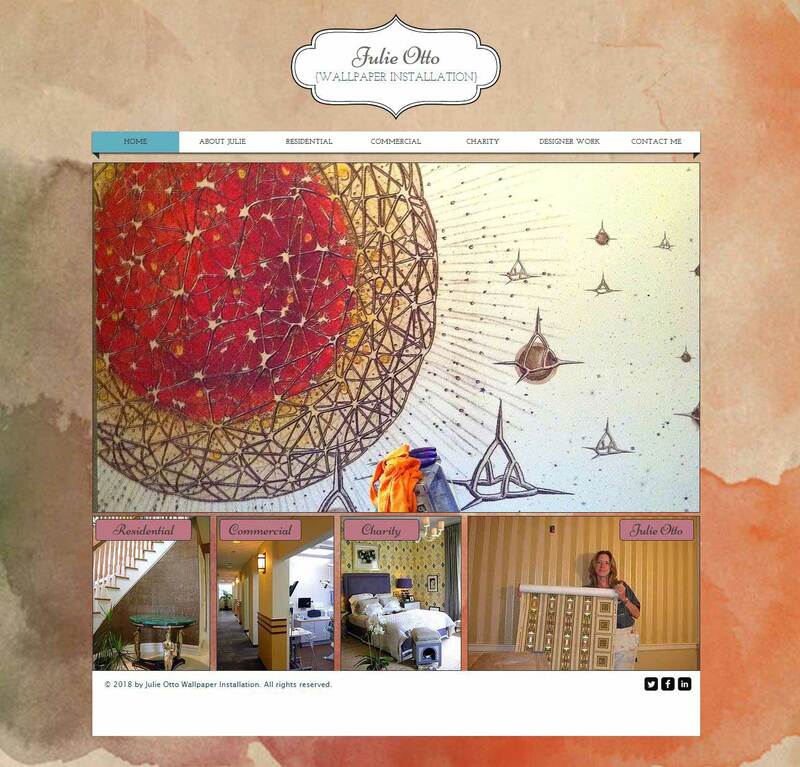 With popular themes, we can assemble your website in a jiffy. Are you attempting to build your own website yourself and are not sure how to proceed? Give us a call and we’ll help you. For the Charlotte Mason website, we created a responsive WordPress theme from scratch and designed a new logo using the company’s branding. 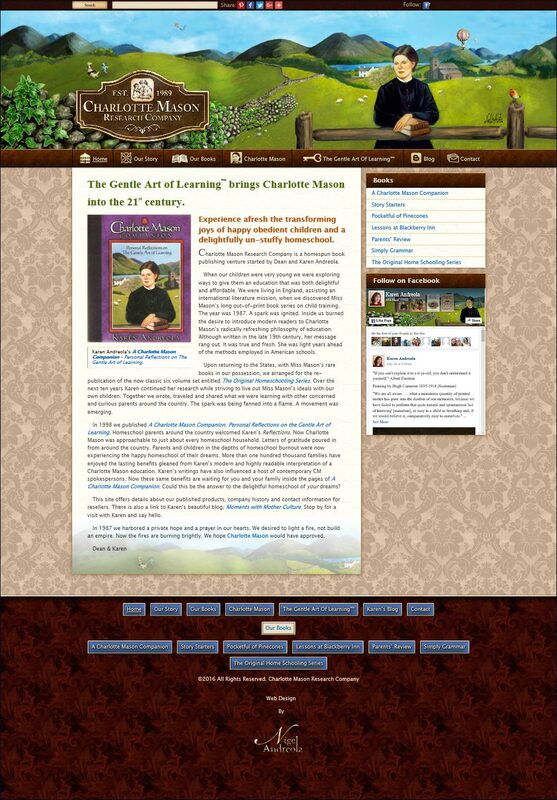 A portrait of Charlotte Mason was digitally extended buy or artist to create an expansive web banner for the home page. We added an animated hot air balloon using HTML5. The customer’s Amazon affiliate link, RSS feed, Facebook page and PayPal accounts were integrated into the site. 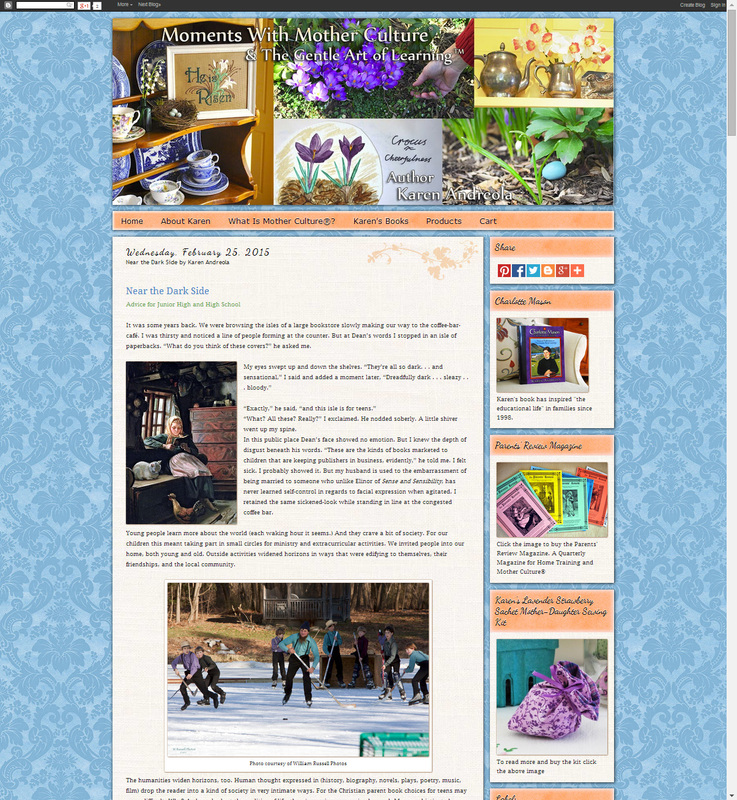 Starry Night Media designed the blog Moments with Mother Culture for the author Karen Andreola. We developed a template with elegant colors, backgrounds, graphic elements, and eye-catching headers. Some folks already have a website and are looking for help keeping it updated. We edited the customer’s photography and uploaded new page content. A gallery was added by us featuring the customer’s videos. We designed and built a website with our custom branding services for Good Neighbors Candle Co. An E-Commerce store was included for their online sales. Website Design, Custom WordPress Theme, E-Commerce.